Hey, hey welcome back to the Day in the Life podcast! 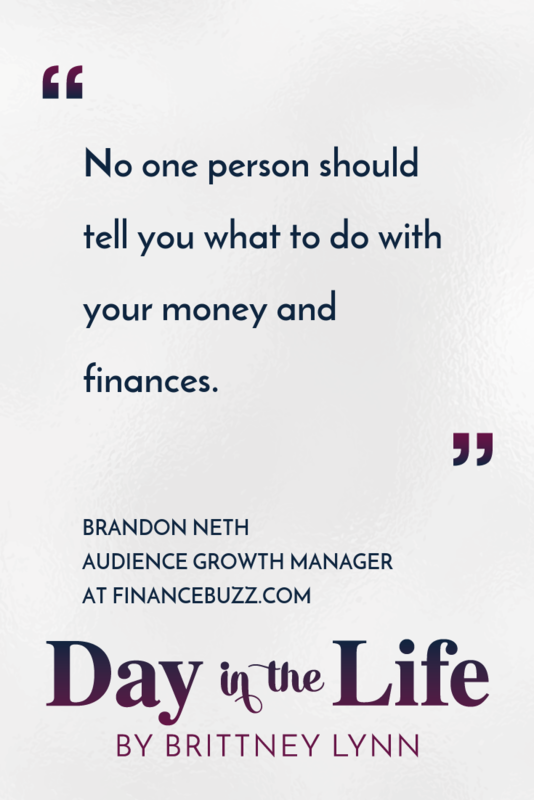 Today’s interview is with Brandon Neth who is the Audience Growth Manager for a website called FinanceBuzz.com. I had never actually heard of this website before, shockingly, but of course I became quickly obsessed because y’all know I love talking about personal finance! Brandon is a super interesting guy: he’s been to 64 countries, all 7 wonders of the world, 6 continents and have flown over 550 times. He credits it all to points, miles, frugality, FIRE… and last but certainly not least, his wife. During our conversation, we talk about how he got started living the nomadic life, advice for people who also want to live a digital nomadic life, tips on how listeners can maximize their travel points and miles, what the LEAN fire movement is and his tips on how you can follow those principles. Guys, I was taking COPIOUS notes during this episode. Brandon and ended up talking for over an hour after our recording! Super great episode with an awesome guy and I’m excited for you guys to tune in. If you want to join in on the conversation with other Day in the Life listeners, head on over to Facebook to join our private Facebook group! 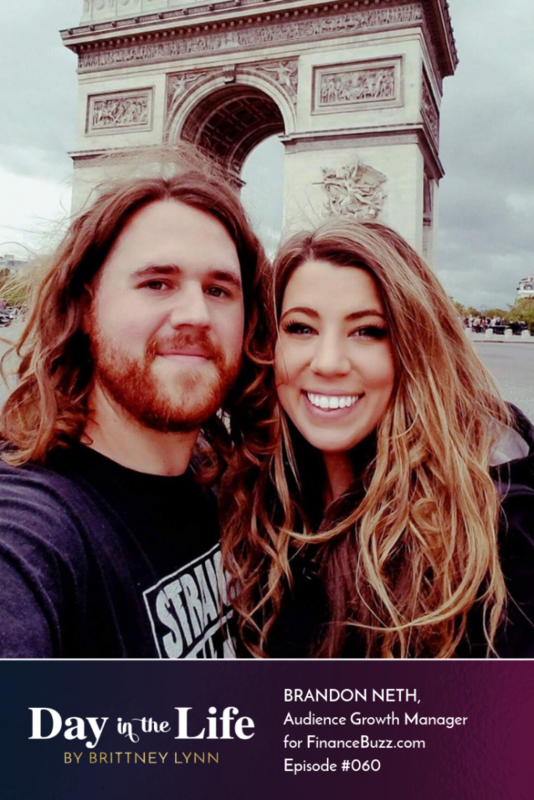 How Brandon and his wife started living the nomadic lifestyle. 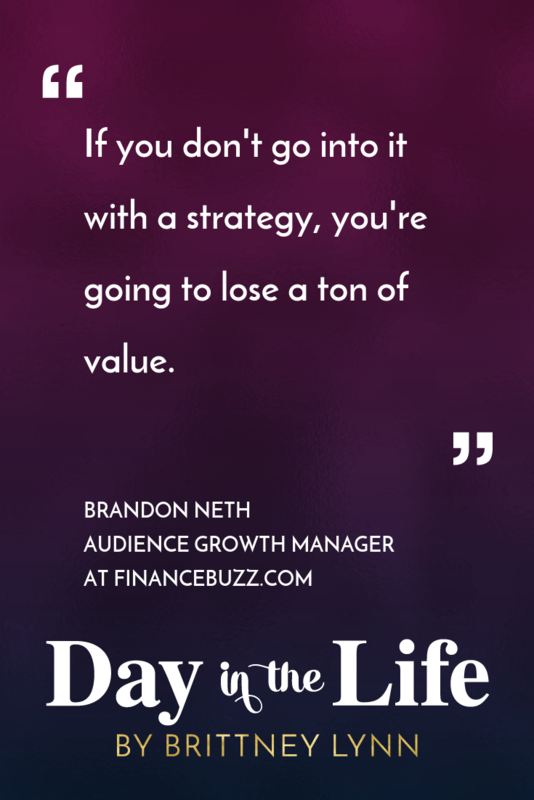 Advice he would give to listeners who also want to live the digital nomadic lifestyle. How listeners can maximize their travel points/miles. 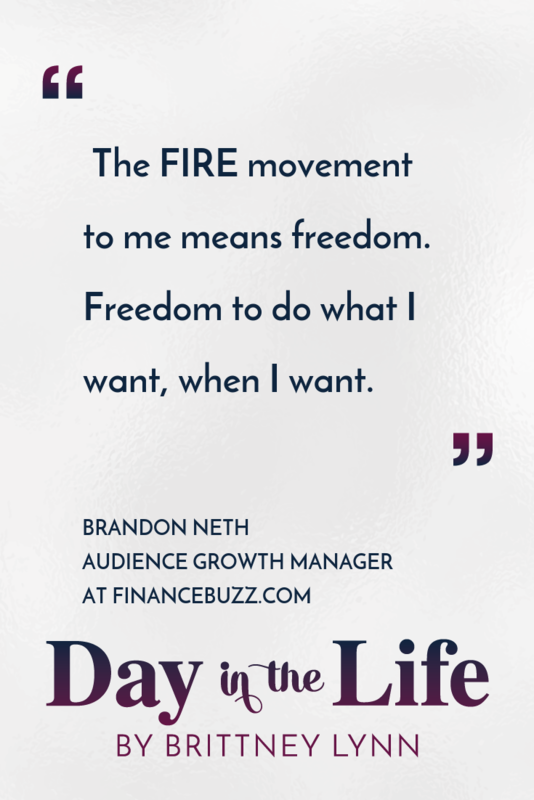 What the FIRE movement is and how the lean FIRE movement is different. The best credit card to get if you want to maximize your points. 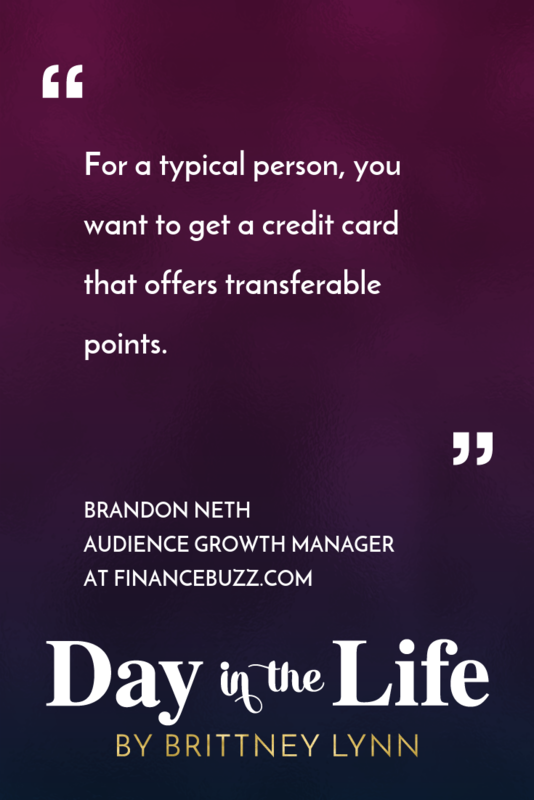 3 big mistakes you can make when trying to maximize your credit card points and how to avoid them. Why my husband and I got turned down from doing our debt free scream on Dave Ramsey’s show.